Wearever® Men's Incontinence Boxer Briefs provide the same comfort, style and protection as our Regular Classic Incontinence Briefs but in your favorite boxer brief style. These Incontinence Briefs will last up to 200 washes, making them a more practical and environmentally sound solution than other disposable incontinence products. 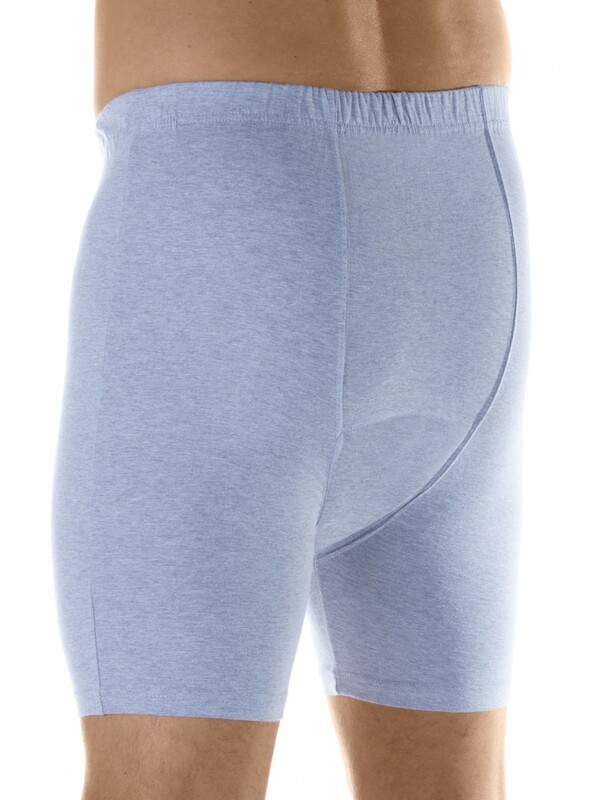 Wearever® Men's Incontinence Boxer Briefs are soft, comfortable 95% cotton/ 5% polyester jersey and made with Agion™ antimicrobial fibers to eliminate bacteria leading to odours. Just like our other men's incontinence products, these come with a fly-front jockey style. 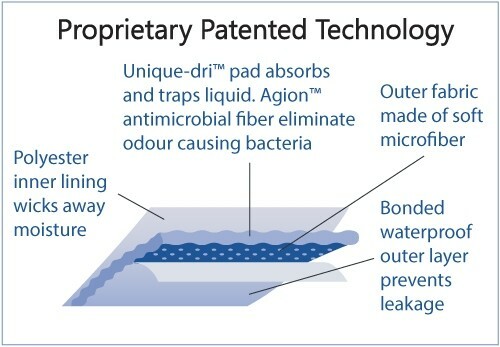 These briefs are built for men dealing with light to moderate incontinence and have a sewn-in, super absorbent Unique-Dri™ pad to trap liquid and provide all day protection. No inserts or disposable pads required! Great style, absorbant and reusable!! I was looking for an absorbant incontinence STYLISH BOXERS for my 91 year old Dad for years... and none existed. I couldn't understand WHY. Then, searching the internet this year.. again... I finally found the company that sells the boxers I've been looking for. I''ve already ordered 6 pairs.. in grey and navy. The incontinence protection is as it states for light to medium. 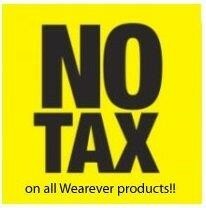 However, I would like to suggest that a MEDIUM to HEAVY protection be made...because it will sell like hotcakes!!! THANK YOU! Glad to find a boxer made for incontinence. I did not like wearing Jockey style underwear. The boxer brief feels the same as my other underwear. My dad needed to have surgery for prostate cancer. It was a scary period and the least of our family's worries at the time of the surgery was incontinence, but during his recovery period it became a real issue. He was pretty embarassed about the whole situation, but we decided to give this product a try. It worked out perfectly, and he was very comfortable during his entire recovery. You couldn't even tell he was wearing the briefs, which was very important to him. I'm really glad this product existed because I know he wouldn't have been comfortable wearing a traditional adult diaper. I highly recommend this product for anyone going through the same situation!